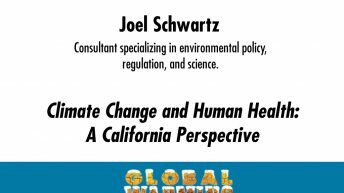 Joel Schwartz is a visiting scholar at the American Enterprise Institute (AEI), where he studies air pollution, transportation, climate change, regulatory policy, and chemical risks. He is the author of the AEI study, No Way Back: Why Air Pollution Will Continue to Decline, and is currently working on the forthcoming AEI book, Air Quality in America. 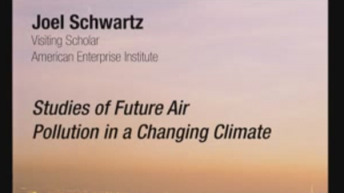 Before coming to AEI, Schwartz directed the Reason Public Policy Institute’s Air Quality Project. He also served as executive officer of the California Inspection and Maintenance Review Committee, a government agency charged with evaluating California’s vehicle emissions inspection program and making recommendations to the legislature and governor on program improvements. Schwartz also has worked at the RAND Corporation, the South Coast Air Quality Management District, and the Coalition for Clean Air. He was a German Marshall Fund fellow in 1993, when he studied European approaches to transportation and air quality policy.